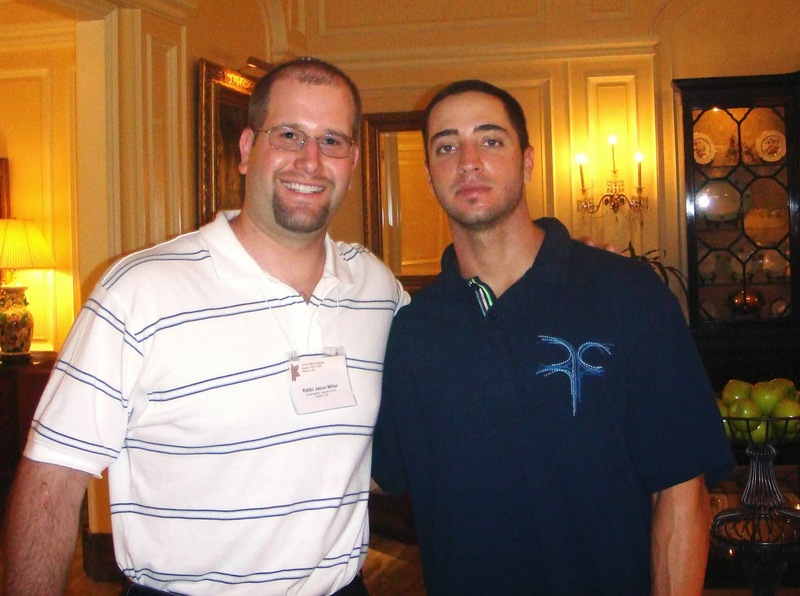 The Rabbi with a Blog (Rabbi Jason Miller): Can Ryan Braun Do Teshuvah? Can Ryan Braun Do Teshuvah? An interview with the Detroit Tigers' new manager Brad Ausmus about his Jewish heritage spread out over a half page in yesterday's Detroit Free Press. The interview was an excerpt from the new book by Larry Ruttman, “American Jews and America’s Game: Voices of a Growing Legacy in Baseball”. Ruttman's interview concludes with a prediction that Ausmus will one day become a manager of a Major League Baseball team and of course that prediction came true earlier this month when the Detroit Tigers announced his hiring. 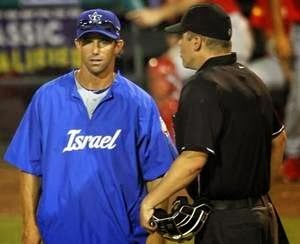 In the two weeks since that announcement many people in Detroit -- and outside of Detroit -- have asked my opinion about the Jewishness of Brad Ausmus. That's an easy answer, I explain, because his mother is Jewish and therefore he's Jewish. However, that doesn't seem to be enough for many people. They seem to be troubled by the fact that Ausmus isn't the ideal Jewish character for Jewish baseball fans to be excited about. Growing up with a Protestant father, having a Christmas tree in the house each year, and never becoming a bar mitzvah bothers many who want to be excited about this new Jewish manager (it should be noted that Ausmus isn't the only Jewish manager currently in Major League Baseball since Bob Melvin, the manager of the Oakland A's, also has a Jewish mother and coincidentally was also a catcher at one point for the Detroit Tigers). Ausmus has been very candid about his Jewish background and like Ryan Braun he acknowledges that Judaism didn't feature very prominently in his upbringing. In fact, both Ausmus and Braun fall very neatly into the category of Jewish American that many were surprised about in the recent Pew Research Center study. I have cynically explained to people that having Jewish baseball players in the Major Leagues and Jewish managers are statistical anomalies. After all, make up a very small percent of the U.S. population and when you factor in that many professional baseball players aren't from the U.S., the chances of a Jewish professional player are very small. Therefore, we don't have the luxury of choosing the type of Jewish player. Yes, it would be easier to feel Jewish pride over a Jewish baseball player who plays like Hank Greenberg, refuses to play on Yom Kippur, attends a synagogue, practices a virtuous life off the field, and donates a portion of his salary to Israel and local Jewish causes. However, we have to take what we get. And that is why we should feel proud that Ausmus (and Bob Melvin) is a manager. He's honest about who he is as it relates to his Jewish heritage, explaining, "I was not brought up in any religion, I wasn’t bar mitzvahed. I married a Catholic girl and have two daughters. Other than the holidays we spent with my grandparents, there really wasn’t much Jewish religion or Catholic-based religion in the household. I think my mom enjoyed Christmas more than anyone, because she didn’t have it as a kid growing up." The case of Ryan Braun is very similar to that of Ausmus. Only one parent is Jewish (in Braun's case it is his father) and there wasn't much of a Jewish upbringing. Like Ausmus, Braun never had a bar mitzvah and only began to embrace his Jewishness once becoming a Jewish role model. The recent issues surrounding Braun's troubles with performance enhancing drugs and lying about using them has very much become a Jewish issue. As a fan of Braun I have given much thought to the matter of his dishonesty to his fans and Major League Baseball and whether he will be able to make a comeback. Cary Spivak, a sports writer with the Milwaukee Journal Sentinel was curious about how Judaism perceives Braun's fall from grace and whether he can be forgiven. We have had several interesting phone conversations on the topic over the past few months and I was able to connect Cary with Irwin Cohen (a Detroit Tigers maven) and my colleague Rabbi Josh Ben-Gideon in Milwaukee. Cary's article on Braun's situation from a Jewish perspective was published today in the Jewish Daily Forward. There are two things that every Jewish baseball fan knows about Ryan Braun. First, the Milwaukee Brewer leftfielder is the best Jewish ballplayer in the majors today. Second, as a result of his self-inflicted tsoris, Braun faces the gargantuan challenge of winning back his fans when he returns to baseball next spring, following his 65-game suspension this past season for using banned performance-enhancing drugs. “It’s hard to forgive someone who out and out lies and then gets caught,” said Ari Fleischer, who served as the White House press secretary for George W. Bush. He now heads Ari Fleischer Sports Communications. Still, if there is any group that can forgive the new Hebrew Hammer, it’s the Jewish community, said Jason Miller, a Detroit rabbi and blogger who comments frequently on Jewish issues. The Jewish community and fans of all backgrounds quickly embraced Braun in 2007, when he came to the major leagues as a soft-spoken third baseman. Braun, who was later moved to left field, got tagged soon as the “Hebrew Hammer,” the same nickname given to Hank Greenberg, the revered Detroit Tigers Hall of Famer. Braun’s father is Jewish, and the five-time all-star has said he considers himself Jewish, although he did not have a bar mitzvah and has played on Yom Kippur. There are about a dozen Jewish major leaguers today, though many Jews may put asterisks next to some of their names because they have just one Jewish parent, play on Yom Kippur or have married a non-Jew. In Braun’s case, the kvelling has morphed into a kvetch. In 2011, when Braun first tested positive for use of performance-enhancing drugs (or PEDs), he challenged the results, winning on a technicality after an arbitrator raised chain of custody questions regarding Braun’s urine sample. At the time, Braun vehemently denied ever using a banned substance. And he publicly criticized Dino Laurenzi Jr., the Kenosha, Wis., man whose job it was to collect urine samples from Braun and other athletes. Gasoline was thrown on the fire this year when, citing three unnamed sources, ESPN reported that Braun had told other major leaguers that Laurenzi was anti-Semitic and a Cubs fan to boot. Kenosha is located between Chicago and Milwaukee, and the Cubs are a Brewers division rival. For the next year, Braun continued professing his innocence, even telling star Green Bay Packer quarterback Aaron Rodgers — a friend and business partner — that he was clean. But then, a separate investigation of a clinic in Florida turned up written evidence that he used PEDs. “I don’t think he helped himself very much by doing that,” said Rabbi Joshua Ben-Gideon of Beth Israel Center, a Conservative synagogue in Madison, Wis. Though Ben-Gideon is from the East Coast, he has been at the Madison synagogue since 2008 — long enough to understand the state’s universal love for the Packers. Braun’s repeated denials and his willingness to blame others put him in a special league of disgraced athletes, Fleischer said — a group that includes Lance Armstrong and Alex Rodriguez. “He’s given himself a high hurdle to overcome,” Fleischer said. But Ben-Gideon said that Braun’s apology could be a first step in his moral comeback. Braun’s prospects for redemption now depend on how he handles himself both on and off the field. But Miller said he hopes Braun will ultimately address the issue by facing the cameras directly and talking to his public. “If it turns out that Braun actually did accuse Laurenzi of having ulterior motives… I hope that he’ll issue a public apology to Laurenzi as well as to his fans, his team, and to Major League Baseball,” Miller wrote in an email to the Forward. We can easily say Ryan Braun isn't Jewish because he's not from a halachik perspective (mother isn't Jewish and he never converted), however, he is perceived as a Jewish player. For that reason, while I would not give him an aliyah in synagogue or perform a wedding ceremony between him and a Jewish woman, I do think it's important to understand the zeitgeist. In pop culture, Ryan Braun is one of a few Jewish baseball players in Major League Baseball. He accepts his nickname of the Hebrew Hammer and has acknowledged that he's a Jewish player. He might not be the type of Jewish player we'd hope for, but if you understand the findings of the Pew Study, you'll understand that the effort to simply proclaim Braun to not be a Jewish pro baseball player on the grounds that according to Halacha he isn't even Jewish is futile. For that reason, as Jews, we have something to say about the ethics of his predicament with PEDs and dishonesty. I also believe we have something wise do say about teshuva as it pertains to Braun. Please seek a personal relationship with our Lord and Saviour Jesus Christ.